In 2008 NOAA Fisheries authorized Oregon, Washington and Idaho wildlife authorities to begin trapping and removing sea lions shown to repeatedly prey on salmon at the dam. The removal program was designed to reduce impacts on protected salmon. Photo courtesy U.S. Army Corps of Engineers. SALEM, Oregon – Wild Willamette winter steelhead, an iconic run that is considered by many to be the most imperiled fish in Oregon, are posting some their best returns in three years. 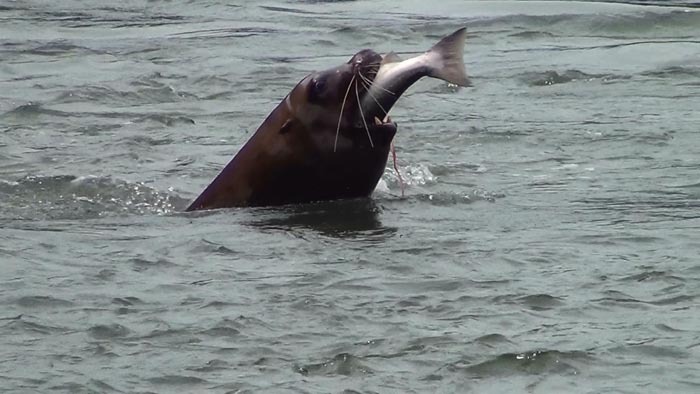 ODFW’s biologists hope this is the beginning of a turnaround, and evidence the fish are responding positively to the removal of one of their most voracious predators – California sea lions. The California sea lion (Zalophus californianus) is a coastal eared seal native to western North America. It is one of six species of sea lion. 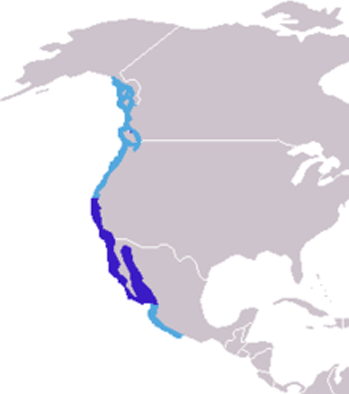 Its natural habitat ranges from southeast Alaska to central Mexico, including the Gulf of California. Wikipedia. Trapping began a month later in mid-December, and ODFW has since removed and euthanized 13 California sea lions. Many of these animals had been present in the vicinity of Willamette Falls since last August and almost all had been coming to the Falls for a number of years. The 11th sea lion was removed on March 13. With the removal of this animal, there were no sea lions on the lower river for six days, and the steelhead were free to move through the lower river and over the falls without being preyed upon by sea lions. Lots of steelhead were moving into the Willamette, and, for the first March in many years, there were no sea lions hunting them. Unfortunately, the respite was short-lived, as more California sea lions have since moved into the area. On March 22, two more California sea lions were trapped and euthanized. Male Chinook (King) salmon in spawning colors. Image courtesy of renown illustrator Thom Glace.